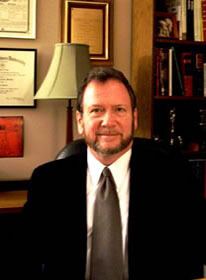 Tom Britton is a member of the Charter Class of the SIU School of Law, the Class of 1976. He maintained his association with the School of Law while he pursued a lengthy and successful career in SIU central administration prior to joining the School of Law full-time in 1992. He has served as an aide or advisor to four of the six most recent Presidents of Southern Illinois University. He was named to his first Vice Chancellor/Vice President post at age thirty-six. During his seventeen years in University central administration, he served as Administrative Counsel to the SIU Board of Trustees, Executive Assistant (chief of staff) to the President, Vice Chancellor/President for Administration, and Vice Chancellor for Institutional Advancement. He joined the SIU School of Law on a full-time basis in early 1992 as associate dean. He was the first SIU Law graduate to hold that post. He was also the first SIU graduate to serve as Acting Dean (1995-96). Professor Britton taught courses in the area of public law, including administrative law, legislative and administrative process, state and local government law, and education law. He also taught and practiced negotiation for many years, and he continues to teach at SIU Law and elsewhere periodically. As Director of Graduate Legal Studies, Professor Britton oversaw the development and inclusion of the first non-JD graduate programs of the law school, the Master of Legal Studies (MLS) program and the Master of Law (LLM) program. In addition he launched the school's first semester in practice program and was an early adopter of distance learning technologies. As chair of the clinic and experiential learning committee, he led the school's efforts to organize and regularize experiential education in the law school curriculum. Related to education law, Professor Britton served, along with a colleague from the SIU College of Education, as a senior consultant to Illinois State Board of Education and trained administrative law judges who heard cases involving special need students. Professor Britton gives his volunteer time to a variety of causes. At SIU, in the years immediately prior to his retirement from the University, he served as chair of the University Graduate Council, the first law professor to do so, and also served as the co-chair of the campus' strategic planning initiative and as co-chair of the chancellor search committee. Now in private practice, Professor Britton serves as principal of the firm of BRITTON and Associates which provides legal, educational and consulting services to a variety of individuals and organizations. You may contact him at lawbritton@gmail.com.